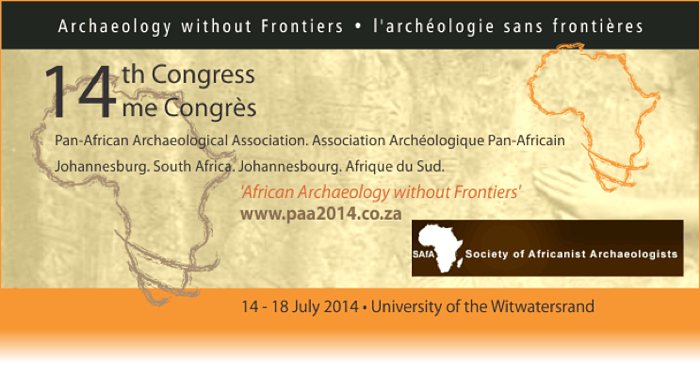 The 14th Congress of the Pan African Archaeological Association for Prehistory (PanAf) and Related Studies and the 22nd Biennial Meeting of the Society of Africanist Archaeologists (SAfA) conference was held at the University of the Witwatersrand, Johannesburg from 14-18 July 2014. 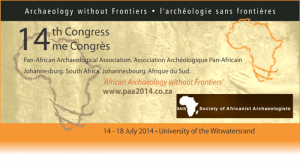 The aims of the conference, to “bring together Africanist archaeologists and colleagues in a forum to exchange information and ideas; to create contacts between students, researchers and practitioners across Africa in multiple disciplines; to forge links and friendships; and to facilitate and promote inter-African collaboration”, were definitely met. Over 430 delegates from over 20 countries around the world attended the conference. Sessions spanned a wide range of topics: DNA research, farming, Indian Ocean trade, Middle and Early Stone Age research, palaeoenvironments, metallurgy, rock art, heritage and public education (including the use of SAHRIS), archaeobotany and ceramics. The presentations and posters promoted some zealous discussions and also saw many research collaborations being made. The opening of the SAHARA exhibition at the Origins Centre marked the second evening of activities and with Vieux Farka Touré playing beautiful, uplifting Malian music. 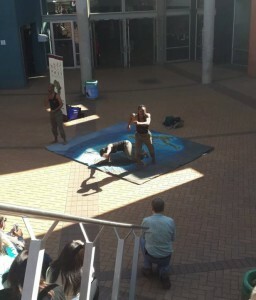 During the conference, Walking Tall, of the Palaeontological Scientific Trust (PAST), gave a high-energy and humorous performance about evolution and how and why we came to be like we are today. Walking Tall performs at schools around the country to educate our youth about African and world prehistory – something which is often overlooked in our school syllabus. 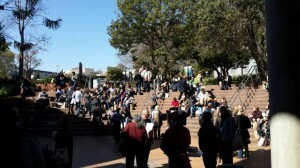 Excursions were offered to conference delegates; they visited some of the best known archaeological sites and areas in South Africa, including the Cradle of Humankind and Sibudu Cave.